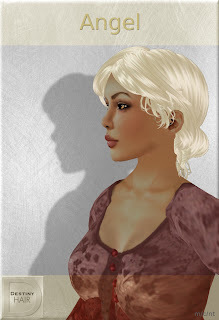 Second Destiny: Destiny Hair Grand Opening in InWorldz! 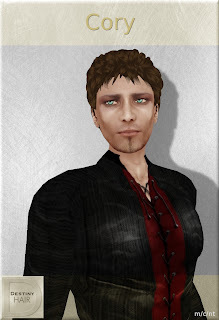 Destiny Hair Grand Opening in InWorldz! There's a new hair shop in town! 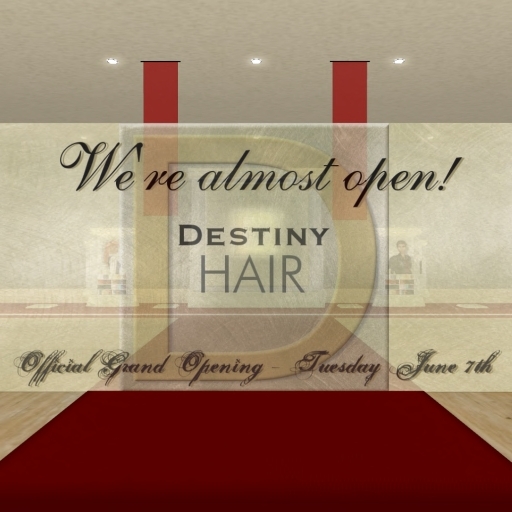 I am excited to announce the Grand Opening of my new hair shop, Destiny Hair, at Noon on Tuesday, June 7th in InWorldz. Why a Tuesday? Because it's my RL Birthday! I can't think of a more fun way to celebrate with you all and have fun with some new hair! 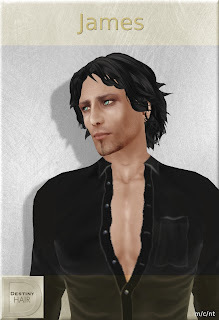 In the spirit of FUN, I will also be holding "A Wild Hair" hunt from June 7th to June 18th in and around the shop and garden, with a collection of hair in some wild new shades. Do you Dare to wear... Destiny Hair? Come on down and pick up your free group gift on the wall above the front desk. 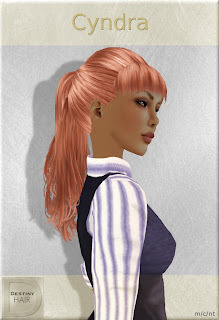 The lovely ponytail style "Cyndra" for women, and for men we have "James" in a light caramel color. Pssst girls... the James makes a great tomboy look! Here's a little peek at a few styles we have ready for you. We'll be adding new styles soon so if you want to be among the first to know about them, please join our group "Destiny Hair" for info on gifts, updates, and special events. Find Destiny Hair on the Big Blue Easy sim in InWorldz. Drop by and see the new place, and catch the excitement! I am so happy and proud that you are opening your very own line of hair styles for women AND men.You stuck with it and worked very hard to get this far so quickly! Well done! You are a great example of the Inworldz ability to bring out the creative streak in us. I wish you much success with your new venture. Hugs! @Bebe You're so right! There's a special thing about Inworldz that really inspires and brings out the creativity. Thank you so much! @Mira It's a fantastic birthday and thanks for the wishes!